at the Great American Melodrama, 1863 Front St., Oceano. For more information, call (805) 489-2499. When I first announced to colleagues that I was seeing a production of Less Miserable over the weekend, there was an audible gasp of horror. How could I, a purported theater geek, ever butcher the name of perhaps the greatest musical in the history of Broadway? ONE DAY MORE It's puns aplenty as the Great American Melodrama in Oceano presents Less Miserable, a parody of the Broadway classic Les Miserables. 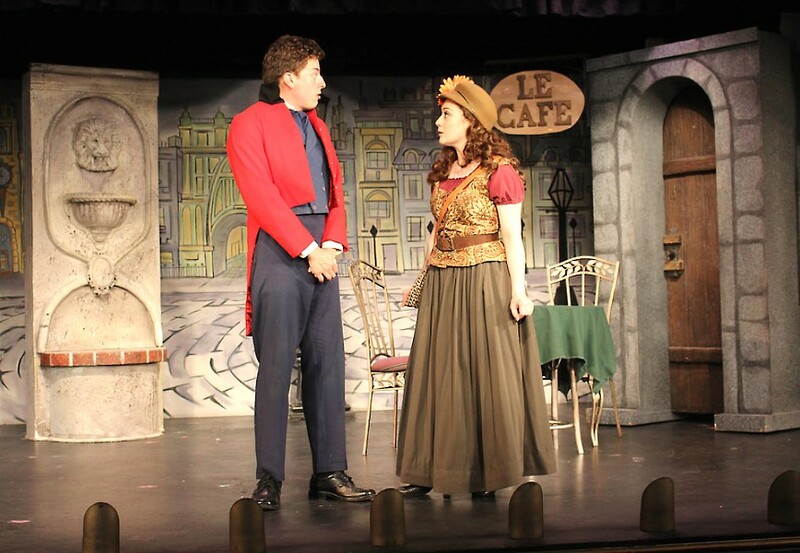 The musical runs through June 10. I quickly assured them the title was a pun on Les Miserables and all was quickly right again in the world of theater criticism in the newsroom. It's that stop-you-in-your-tracks double-take kind of pun that the Great American Melodrama in Oceano is known for. In its latest musical, a parody of the hit Broadway classic, the Melodrama once again zeroes in on the ticking heart of theater fandom and what makes it so indelible. The songs are energetic and clever (subbing "Chain Gang" for "Look Down" was a canny move), but the production especially shines when it zeroes in on the 2012 movie adaptation starring Hugh Jackman and Anne Hathaway, who famously won an Academy Award for her portrayal of the beautiful yet doomed Fantine. The Melodrama offers up Anna Wentworth, an absolute comedic charmer, in a performance of I Dreamed a Dream that is one of the most memorable they've ever done. Wentworth pulls out all the stops in her musical scenery chewing, with enough goofy jokes about cutting one's hair to win an Oscar to go around. I loved this scene, and the addition of Mia Mekjian and Rachel Tietz as color commentators only makes it more vibrant. DREAM A DREAM Cameron Parker (left) and Mia Mekjian (right) deliver nonstop laughs in the Great American Melodrama's production of Less Miserable. Bobby Montaniz and Sydni Abenido do a great job as the unofficial Greek chorus (helping cut down the running time from three-plus hours to about an hour and a half, for starters) and as the comical villains M. and Mme. Thenardier. I only wish I had a little bit more of them and their delightful chemistry. But it's Ed Madson who runs away with this production. His Javert provides a healthy dose of the production's laughs, largely owing to his stellar delivery and strong rapport with the audience. Madson takes Javert from a tormented revenge-hungry demon to something that's part Napoleon parody and part Pepe Le Pew, and I mean that in the best possible way. Madson's Javert is tortured less by his need to capture his fugitive, and more by his inability to correctly pronounce "parole." 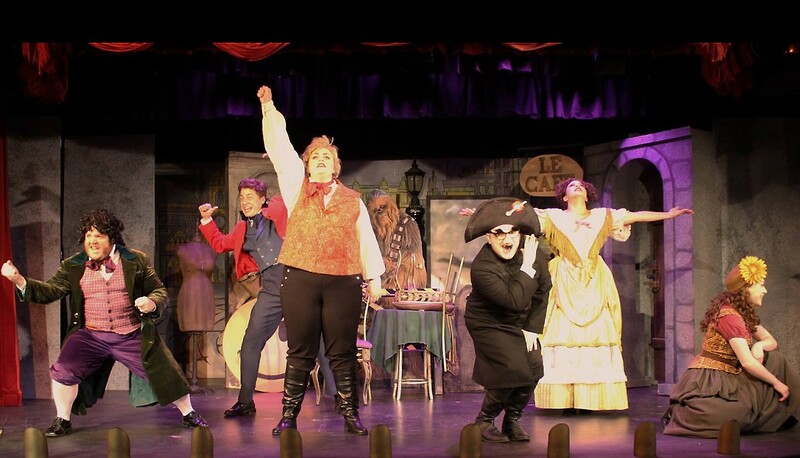 The musical works well as a whole, once again owing to the strength of a cast that shows unending enthusiasm for the material and for the crowds that come to see them as well. And yes, I waited until the very end of this review to give this gem of a pun: If you go see Less Miserable, you'll be—less miserable. Sun Arts and Lifestyle Writer Rebecca Rose is absolutely terrible at puns. Contact her at rrose@santamariasun.com.